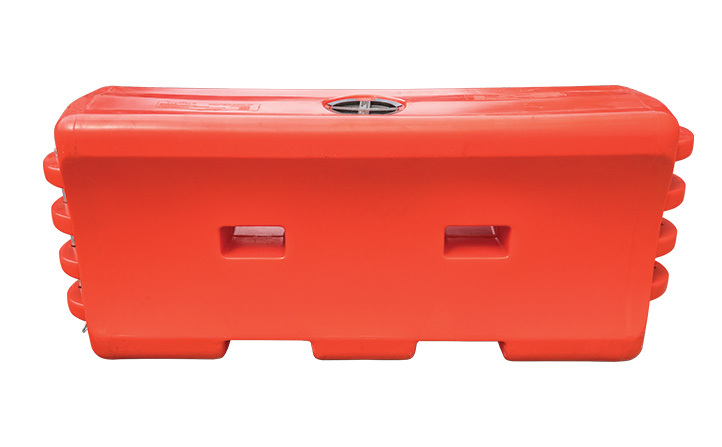 The Water-Wall™ is a rugged plastic jersey barrier, manufactured from polyethylene plastic to minimise cracking and breaking under harsh conditions. Fortress Fencing Water-Wall™ Crash Barriers are thoughtfully designed to enable easy movement with forklifts on or off site. During the blow moulding process, forklift holes are moulded through the middle of each unit, which minimises the bowing effect when they are filled with water. The forklift or pallet jack through-holes and recesses allow for very easy movement of the barriers. A large 200mm fill hole speeds the filling process, and an easy twist-lock plastic cap is included. Additionally, a tamper-resistant, corner offset drain plug with coarse buttress thread is quick and easy to secure – it screws open or closed in just 2 1/2 turns. The link-together hinge is designed like a dovetail and allows for up to 30 degrees of pivoting between modules. This allows the barriers to be arranged around curves. 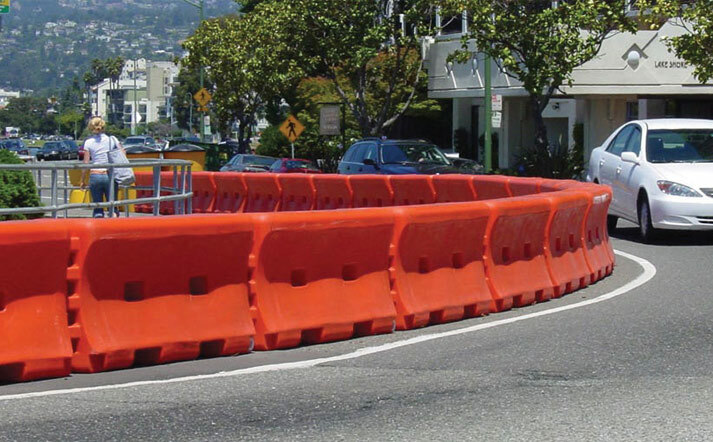 Each Water-Wall™ Crash Barrier includes one steel connection pin that allows sections to be locked together for security. The Fortress Fencing Water-Wall™ Crash Barrier is constructed from extra strong durable polyethylene plastic to minimise cracking and breaking. A double walled ‘knuckle’ design minimizes the risk of breakage at hinge points. 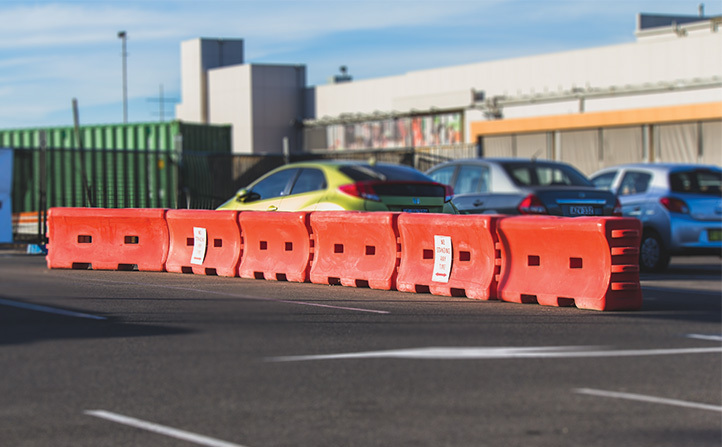 The Water-Wall™ plastic water filled crash barrier has been crash tested and complies with Australian Standard AS/NZS 3845.1:2015 Road Safety Barrier Systems. This product is designed & crash tested for use on all private, local and council roads. Please note that this product is not approved by AustRoads for use on state road networks. 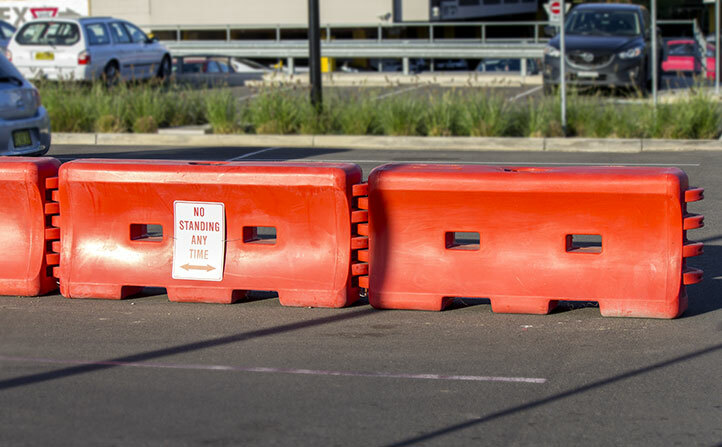 The Water-Wall™ Waterfilled Barrier has six bushings connecting the barrier sections to prevent vehicle breaching.